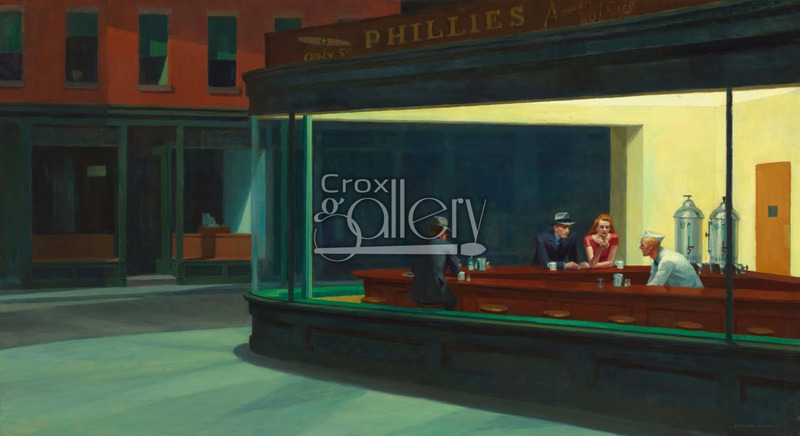 "Nighthawks" by Hopper, Realistic Painting Reproduction. 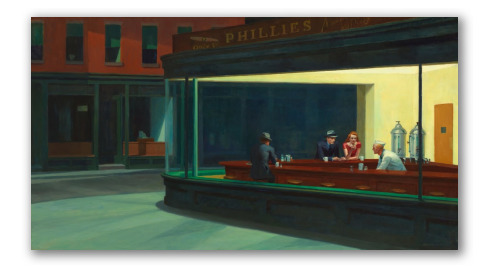 Nighthawks is a realistic painting by the American artist Edward Hopper. It was painted in 1942. The painting shows a New York bar with its last customers of the evening. The painting was an American icon for the youth of the 40's. The image clearly depicts the solitude of the big city and of modern existence.